We offer only the highest quality kraft paper at competitive prices. If you need a reliable, available, quick and constant resource for kraft paper, please let us know what you need and we will get it to you. It’s just that simple. Standard weights available are 30#, 40#, 50#, 60#, and 70#. Virgin Kraft paper is super paper, used for applications that require muscle and higher tear strength than Recycled Kraft. 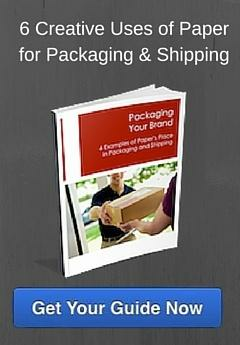 Its low cost and clean fiber content make it ideal for printed packaging. Virgin Natural Kraft is perfect for all types of packaging applications including wrapping, surface protection, pallet interleaving, carrier sheets and dunnage. Due to its recycled fiber content, Recycled Kraft Paper is the environmentally friendly alternative that has a little less power and strength than Virgin Kraft. However, Recycled Kraft is widely used in dunnage and void fill applications, box and tray liners, interleavers, as well as newspaper bottom wrap. Standard weights available are 30#, 40#, 50#, 60#, and 70#. Black Kraft Paper is primarily used in the picture framing industry to line the back of picture frames. It is also used for snazzy arts & crafts projects or where light barriers and boarders are needed. Standard weights available are 45# and 55#. Our Colored Kraft Paper is offered in a variety of vibrant hues. From red, blue, green and yellow, practically any color of the rainbow can be obtained. Colored Kraft Paper can be used for a range of ideas including bulletin boards, school supplies and arts & crafts applications. Standard weight available is 45#. Please call for pricing and minimums. White or Bleached Kraft Paper is used when strength, whiteness and resistance to yellowing are important. Just like Virgin Natural Kraft, White Kraft is suited for wrapping when a crisp clean look is essential. White Kraft Paper can also be used to cover restaurant tabletops, or in sign painting and masking, arts & crafts and store displays. Standard basis weights available are 30#, 40# and 50#. Printed Kraft Paper is used for a variety of industries in various ways to brand and promote your business, from restaurants to the fashion industry.